The modern electronic garage door has eyes (photo-eyes) which detect when people, pets, and objects are in its closing path. This is a safety feature that protects against injury, loss of life, and property damage. These sensors are located on both sides of the lower portion of the garage opening, only a few inches from the ground. 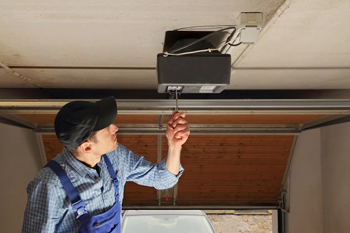 One sensor has to have a clear line of sight of the other in order to positively communicate with the garage door opener. If this line of sight is broken, the sensors will electronically tell the opener to refuse to close. This is a great safety feature except when the photo-eyes lose alignment. During these instances, the door will not close at all. 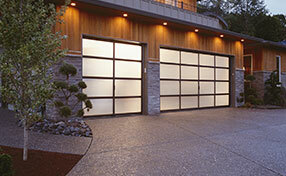 Here are a few basic instructions to help you realign your garage door in case you find yourself in this situation. Take a philliips or flathead screwdriver to loosen the screws of both sensors. Only loosen them, don’t remove the screws completely. Once they are loosened, you should be able to move the brackets vertically by hand. Slide both sensors all the way down until it is stopped by the unscrewed bracket. Next, attach a string to one sensor and run it across the center of the garage door opening to the other sensor. Attach the second end of the string to the second sensor. Place a level on the floor directly underneath it to determine if the string is level. If it isn’t, readjust the positioning of one or both sensors. You can do this by sliding the brackets up. Continue to do this until both garage door sensors are aligned. Once you are satisfied with the leveling and alignment, tighten the screws of the brackets. Make sure that they do not lose alignment while tightening. If all is well, remove the strings and test the opener.